Coach Tom Pickering was honored with Little East Conference (LEC) Cross Country Coach of the Year award for the third consecutive year after the women’s team placed first in the LEC conference. Keene State junior Lauren Perkowski winning the individual title according to Keene State Athletics. Pickering is not only the head coach of the cross country team, but the head coach of the track and field program at Keene State College as well. Even though cross country is a fall sport while track is during the winter and spring, there are a few weeks of overlap that Coach Pickering has to run all practices for over 60 student athletes. “It’s a really challenging period. October and November we are building into the conference championship and NCAA regionals which is very important, so there is a period of time where we are coaching all the track groups, which is all the different event groups preparing for indoor track, and coaching the most important part of the cross country season,” said Pickering. Keene State is one of a few Division III schools in the LEC that does not have a track and field facility of their own. With that being said, it requires a lot of planning and preparation from Coach Pickering and his assistant coaches when running practice. 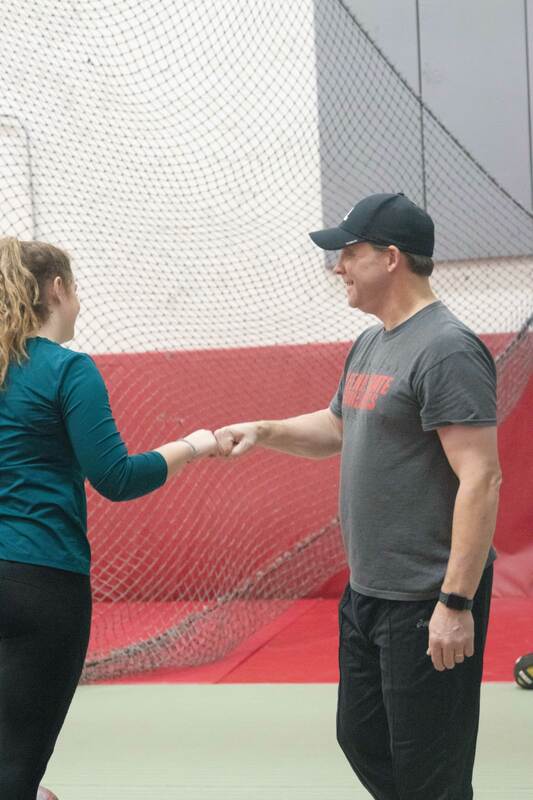 “It is especially challenging at Keene State because we don’t have a track and field facility, so we have to make space in gyms, share with other teams and with recreational sports. 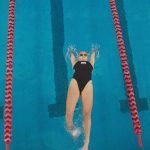 We make it work and hopefully, someday we will have that facility and we will be able to practice all as a team at one time,” said, Pickering. Pickering puts a lot of responsibility in his assistant coaches because of their athletic backgrounds and history. For the first few weeks of this year’s track season, the team is missing Assistant Coach Nick Athanasopoulos while he finishes his degree at Cornell University. “I’ve had a great assistant coach for the past three years. Nick has done a lot with the sprinters, jumpers, hurdlers, and multis while I am finishing cross country season and I did not want to hire a different coach to start with the team for a few weeks and then have Nick return for the rest of the year,” said Pickering. Pickering joins his two assistant coaches Athanasopoulos, and Maggie Donovan as former Division III student athletes. After being nominated for this award four times and winning three, Pickering said that this season was “very special” to him because of the comeback that the women’s team made. “Last year our women’s team was very young, and we were faced with a lot of adversity. Four of our top five runners had health issues, or other challenges, and we just didn’t have a good finish to the season at all,” said Pickering. The 2017 season ended in a loss for the women, as they lost their championship title for the first time in 19 seasons. “It was special this year, to see those same girls come back a year older and return to the top of the conference,” said Pickering. 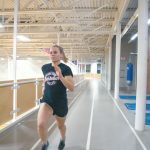 Pickering competed in cross country and indoor/outdoor track, was a part of six Colby College records, an NCAA National Qualifier and was a three-time All-American athlete according to Keene State Athletics. As such an accomplished former athlete, he understands what his athletes go through on a day to day basis. “It helps us to understand the process and know what goes on with them academically and with injuries or illness. We just want to keep their spirits up throughout the year,” Pickering said. “There are always going to be ups and downs, in any sport, but I do think because so many of them are doing it year-round there is no real break for them,” Pickering said. As far as goals and what Coach Pickering wants to excel in, he said, “[I want] to improve [on] the teams final places in the conference championship.” Pickering added he wants this for both the men and the women’s teams. Tom Pickering will be leading the Owls for the Rhode Island College Invitational on Dec. 8 at 11 a.m.